Ever since I was allowed to dye my hair, I never stopped doing it regularly. I use hair color not because I have gray hair rather to look more enhanced on my complexion. Most of the people I personally know of however uses hair color because of gray hair. Either of the reasons, using a hair color is to improve one's self-esteem. I am a nurse working in a busy tertiary hospital here in Manila and the struggles, difficulties that my workplace, travelling and day to day errands, it is taking a big effect on how haggard we look. I remember that it is a common joke here in the Philippines that you earn a single gray hair for every stress that you carry. Hair coloring is now very common for ages 20 to 30 with the reason for fashion statement, covering of white hair or hair loss. But hair dyes can be quite expensive and harmful to your hair and scalp especially when used in a long term basis that is why I try to look for a safe and natural hair color. According from a study, "In fact, almost half of the country’s population is now suffering from some form of hair loss or graying of hair. Of the present population of 100 million, almost half, comprising those who are 25 years old and upwards, are getting gray hair or losing their hair even before they turn 30, caused by the heavy intake of processed food and the stress of present-day living. It is not surprising that this growing market is looking for hair dyes that are safe and natural.". Based on the study, Best Deal Marketing is introducing to the local market a premium-grade henna-based hair dye that you can regularly use to banish gray hair. The Kolganic Henna Hair Color uses pure, rich and naturally cultivated henna to make Filipino hair soft, shiny and attractive. It is easy to use and it is affordable. The product is amazing though because you can use it regularly because it is 100% free from paraben and ammonia that there is a little chance that someone will develop an adverse reaction to this product. How is Kolganic brand different from others? Read the article below. “Kolganic is a play on the words for color and organic, because the henna powder used in Kolganic Henna Hair Color comes from naturally cultivated henna plants from India,” says Atty. Tony Salva, president of Best Deal Marketing. Henna is a plant that is indigenous to India that has been known for centuries for its superb hair coloring and conditioning properties. Compared with chemical-based hair dyes, henna-based products are not harmful to the body and do not cause hair loss with continuous use. It is the only hair product that naturally strengthens the hair and makes it shiny. 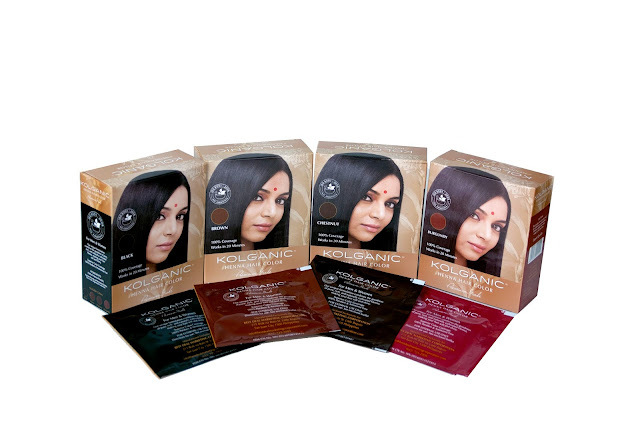 Kolganic Henna Hair Color is manufactured in India in state-of-the-art facilities that are ISO 9001-certified. Aside from India, henna-based hair dye products are also popular in the Middle East, a testament to its efficacy. Atty. 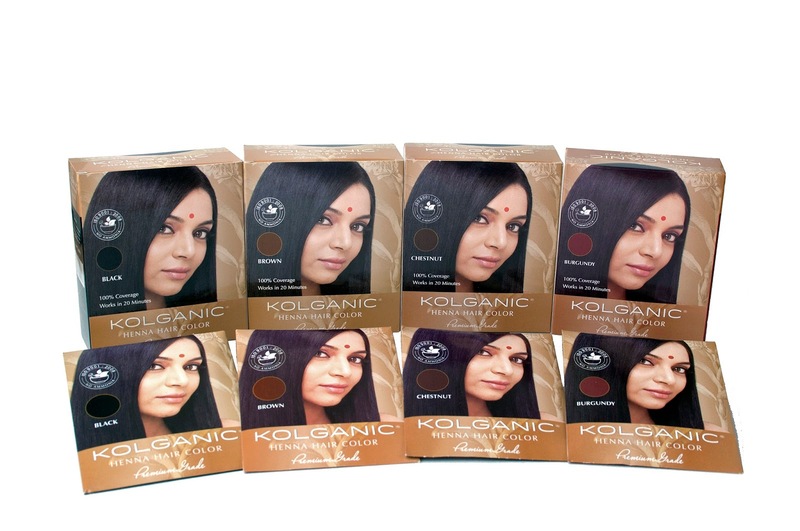 Salva says Kolganic Henna Hair Color offers 100 percent coverage. Most henna-based hair dye products are imported from abroad and are quite expensive to be used regularly, unlike chemical-based dyes. Compared with other brands, Kolganic only costs P159 for a box of six sachets. “One sachet is enough for men, while women may need two to three sachets depending on the volume of their hair,” he adds. Even with constant use, consumers need not fear of allergic reactions. “We have doctors and senate executives who use henna, because it is all-natural. It does not have the harsh chemicals that can cause blurred vision and thinning of hair,” Atty. Salva explains. And you can apply it on your hair by yourself. Simply add enough water to the henna powder to make a paste, and apply it to your hair as you would regular hair dye products. It will have the smell of herbal tea. However, you need to keep the dye on your hair for no more than 30 minutes for the color to set. Afterwards, simply rinse it off and towel-dry. Using herbal or organic products should be practiced for the benefit of your body. Kolganic made this wonderful innovation. It is available in brown, chestnut, burgundy and of course, black. These are basic colors usually used for everyday look and you will have a variety of choices. Kolganic Henna Hair Color is not hard to find as you can look for it on Mercury Drug Stores and selected Watson's Personal Care Stores. Remember, it is only 159php so it is affordable and healthy product in one. I've already abused my hair so much so I decided to give it some love this year. I've vowed NOT to dye it for the whole year. Prolly next year, I'll try this one from Kolganic.